The pieces in “Living Space” are the culmination of ten years of change since Jack moved to Cornwall in 2008. 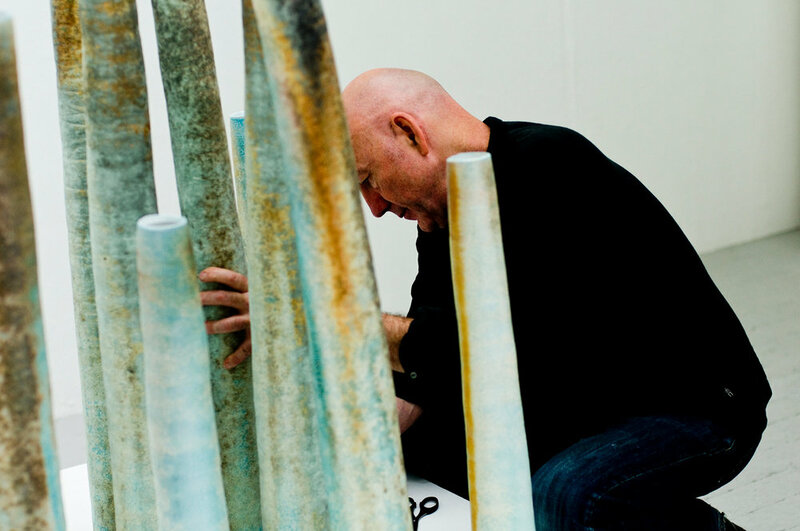 The turbulent, grey skies and unsettled sea views from his home and gallery on the Cornish coastline in Mousehole near Penzance are replicated in the intense storm that he creates within the kiln during his dramatic making process. Jack uses soda firing, a mix of chemical reactions and personal alchemy where sprayed-on mists of sodium bicarbonate and water jets alter copper carbonate, silica and alumina during the white-hot firing process. 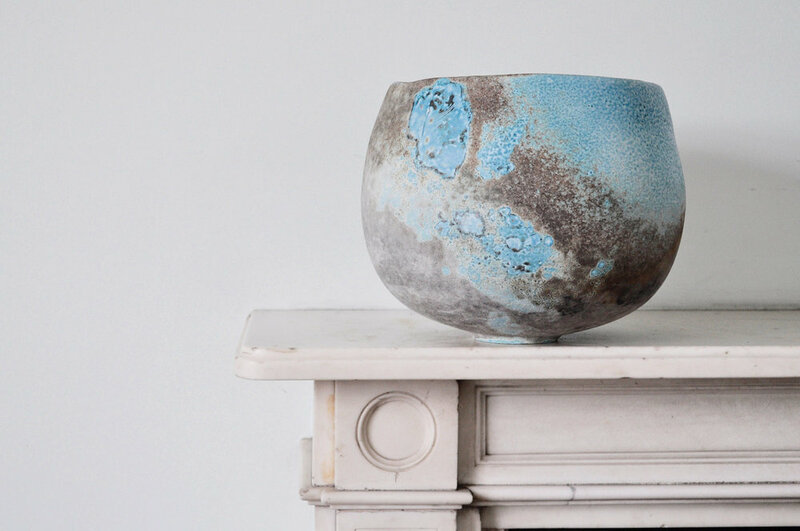 The resulting vessels combine a finely textured surface with a seductive palette of turquoise, lemon, cool grey, and russet orange, often showing ghostly shadows of vapour trails from other neighbouring pieces, sprayed and fired beside them in the kiln. After a number of years at The Leach Pottery in St Ives, Jack continually returns to a sense that every object should have a place and a function in the world. His current range of tea bowls, vases and lidded vessels may be functional, but in creating a link between ancient mystical ceremonies and daily domestic life do not conform to conventional use. 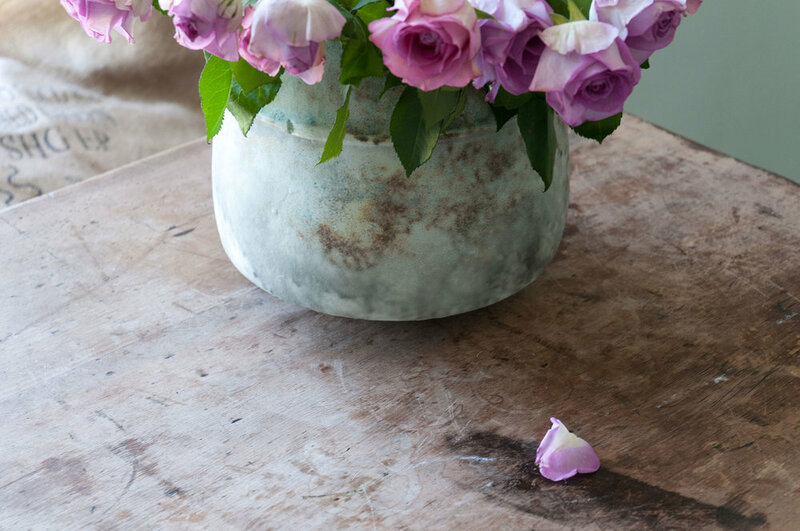 Indentations and scratches are added to most of the pots as a final distinguishing feature which adds a distinct focal point to each piece and stops the profile from becoming too perfect. These signature marks are made from broken pottery tools and scavenged shoreline objects such as broken shells and driftwood. The exhibition will feature around 70 pieces. Always tactile, begging to be held and cherished, some of the tea bowls, cups and vases have lived in Jack’s Cornwall home for a number of years. A new generation of pots will soon take their place, continuing the cycle of constant evolution of his home / gallery / studio that is the core inspiration for his current work. The Exhibition took place from 5th October - 28th October 2017. The Contemporary Ceramics Centre is London’s only dedicated ceramics gallery. It was established by the Craft Potters Association, the national body representing ceramic artists and potters in the UK since 1958. 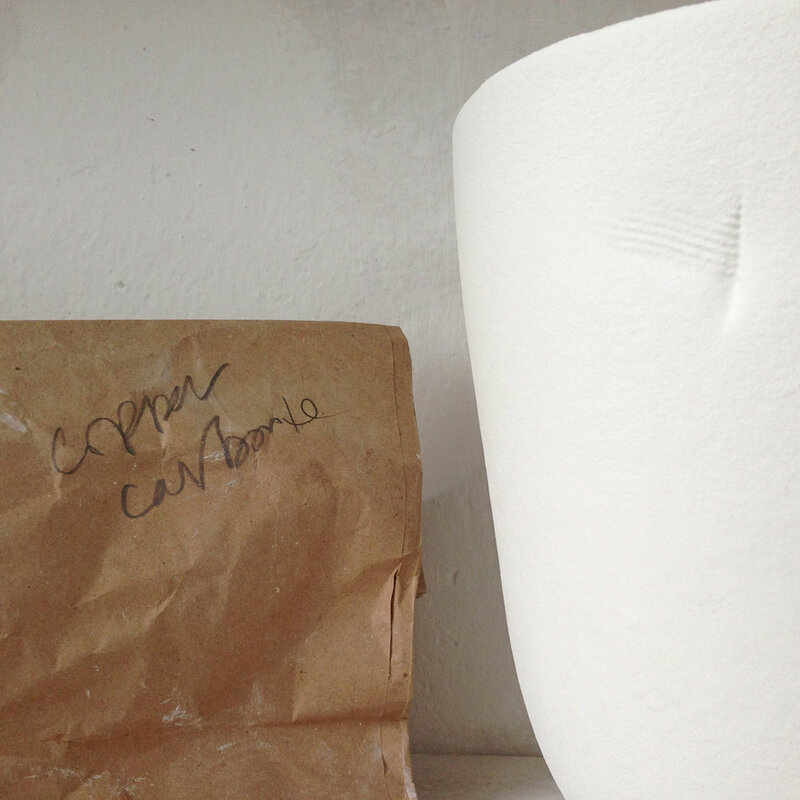 The gallery is a benchmark for current practice in studio ceramics.